Interview Created - Triggers when an interview is created. Interview Completed - Triggers when an interview is completed. Create One-Way Interview - Creates a new one-way interview. 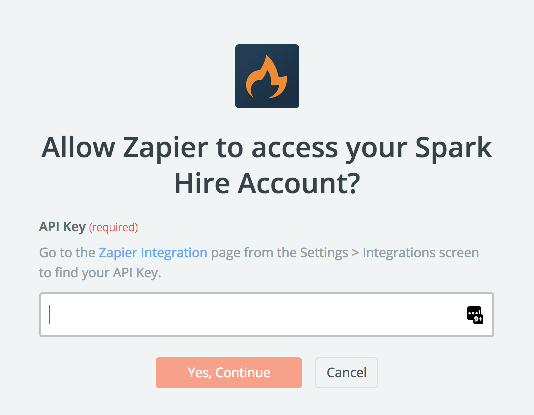 Next, you'll be asked to enter your Spark Hire API key. 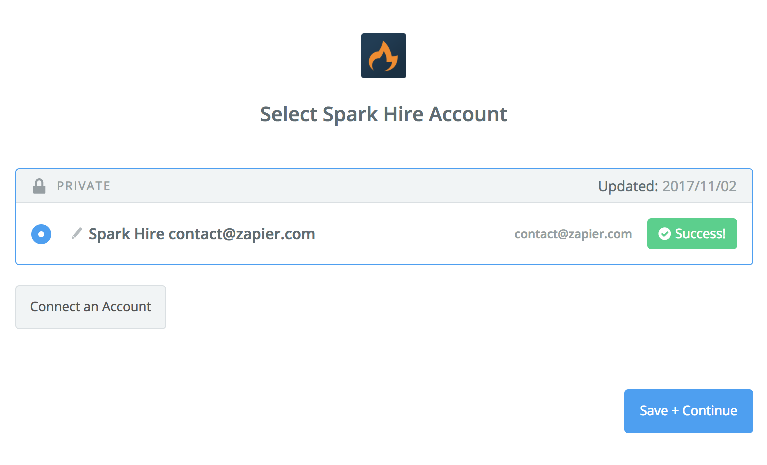 If all steps were successful your Spark Hire account will now be successfully connected.